When the weather turns colder many of us find ourselves with skin feeling drier than normal. Cold mornings, dry indoor air and a lack of a nourishing skincare routine all contribute towards our skin feeling worse off. Luckily, there are several different things you can do to improve the condition of your skin or you can even avoid the dryness altogether if you start early. And it’s not all about moisturising – there are several different steps you can take to help your skin look and feel better. Start tackling your dry skin today by reading my top tips below. First things first. What you eat has an enormous impact on your skin’s health, whether you realise it or not. If you want your skin to look healthier, diet plays a very important role so you should tackle this first. Eating lots of sugar, for example, will really affect your skin, making it drier so the first step is to cut back on sugar. Replace processed sugar with healthier fruits which are also full of anti-oxidants and vitamins, all of which will help your skin look better. 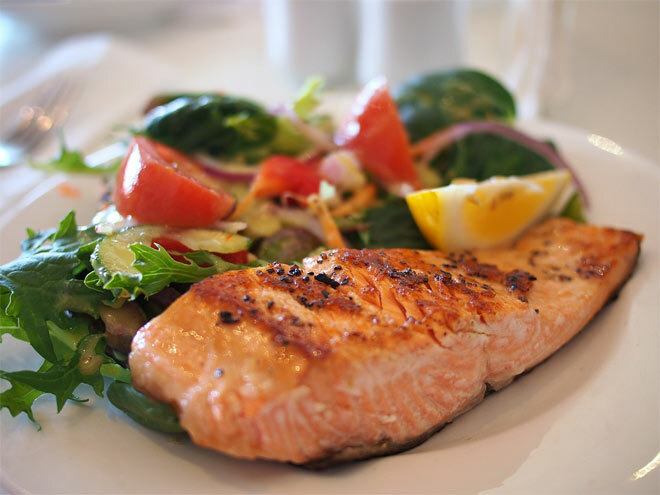 Eating more oily fish, full of omega 3s, will also help your skin improve. Omega-3 essential fatty acids keep skin cells healthy by helping to repair damaged skin cells and restore fats lost in the skin, thus eradicating dryness. If you don’t eat fish or don’t like fish, alternatively you could try organic flaxseed oil such as the one from Fushi. This oil is pure and does not contain harmful metals which some fish oils may do. You use it by simply adding it to cold salads or warm dishes (heat destroys the nutrients so you should avoid heating it up). Another important nutrient for a healthy skin is vitamin E. You will find it in vegetable oils, nuts, kale, leafy vegetables, spinach and whole grains. Vitamin E is a powerful antioxidant which does not only contribute towards a more youthful appearance of the skin but it also helps to ease skin dryness. Vitamin E is also very effective when applied topically as it’s intensely moisturising. If you decide to buy vitamin E oil go for the one which is non-synthetic to ensure the best results. A well-balanced, healthy diet containing plenty of vegetables, fruits, whole grains, nuts, olive oil and fish will do wonders for your skin. Ideally, of course, you would get these nutrients from a healthy diet but when you have busy and stressful days, supplements will come handy. Make sure you take the most natural supplements possible. If you have any health conditions and take medication, make sure you consult your doctor first before taking any supplements. It’s a common knowledge that if you want your skin to feel less dry you should moisturise it more often (although healthy diet should come first). But not all the beauty products will give you the same results. 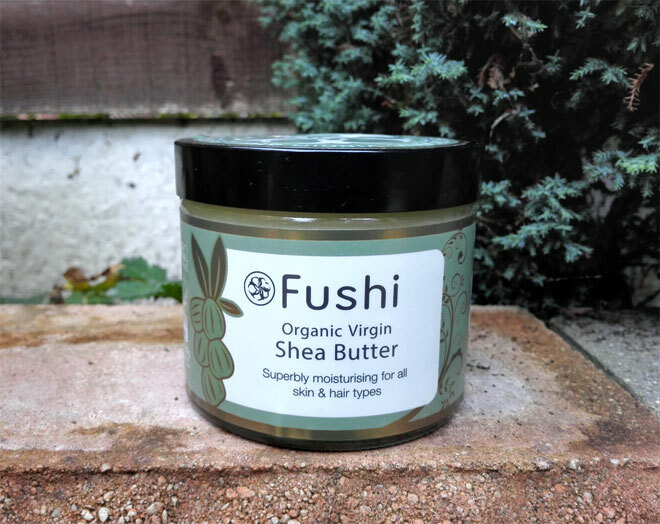 One of the most natural skin moisturisers which I am a fan of is raw shea butter from Fushi. As an ingredient, you will find shea butter in many moisturising face creams and body butters but the quality is not the same as the raw product. Fushi’s raw shea butter is quite special as it’s completely unrefined, 100% natural and 100% organic with no perfume or preservatives added. It’s a premium grade product which comes from Ghana where shea nuts have been handpicked by The Yumzaa Women Association. The butter is ethically made with fair trade and the environment in mind. Shea butter is great to use on your heels, elbows and other dry areas all over your body. I use it after shaving my legs as it doesn’t only moisturise but also helps to soothe and heal the skin. It’s not something that absorbs quickly so it’s great as an overnight treatment. In the morning your skin will feel soft and nourished, no dryness! Shea butter has amazing healing properties so it can be used on a range of skin conditions including blemishes, wrinkles, itching, sunburns, small skin wounds and eczema. If you really want to improve your skin’s condition you will have to spend a little bit more time on your skin care routine. Exfoliate your skin at least once a week to remove dead skin cells and flaky skin. Avoid using face washes as they may dry out your skin even further. Instead, use creamy cleansers or oil-based cleansers and balms. Multi-purpose beauty balms are great for this but you can also use a raw shea butter which turns into oil on contact with skin. 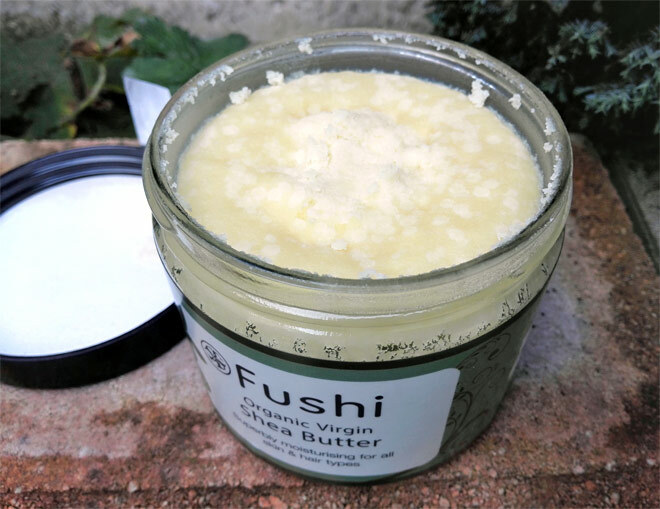 I am not a fan of oil cleansing but I used Fushi’s raw shea butter once for this purpose and it left my skin feeling amazingly soft and nourished, so well worth trying. After cleansing your face, make sure you use a hydrating toner or a mist followed by a good facial oil rich in vitamin E. You could also use a hydrating moisturiser, as an additional treatment (just before you apply the oil). Finally, while you cannot control the cold weather outdoors, you can control the air quality in your home. Having a central heating on most of the time means that the air will become quite dry, drying your skin out even further. A solution to this is a humidifier. I love my electric aroma diffuser which is also a humidifier but you could go for something bigger which will have more impact on your indoor air. Amazon have a good selection of humidifiers for you to check. How do you treat dry skin in colder months? Have you tried using raw shea butter before? * This is a collaborative post. Some of the links here are affiliated which means I may get a small commission if you purchase a product after clicking on a link. This does not cost you anything but you are supporting my blog. Mindell, E. (1999) Vitamin Bible for the 21st Century. Warner Books. Mortimore, D. (2002) The Complete Illustrated Guide to Vitamins and Minerals. HarperCollinsPublishers Ltd.
My skin always gets dry and chapped during winter, I am going to try adding an Omega 3 supplement and see what happens this time around.